How can contemporary architecture sensitively integrate into historic environments? 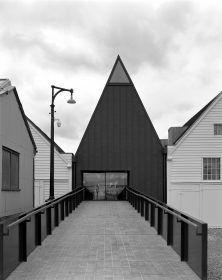 Speakers from leading architecture practices will present their responses to this challenging issue, beginning with a tour of the RIBA Stirling Prize shortlisted Command of the Oceans building at The Historic Dockyard, Chatham. This will be followed by presentations and discussion at Medway Council’s Gun Wharf building. Free visitor parking available at N0.5 Covered Slip (please follow the signs upon arrival). Session two of this event will be held at Medway Council, Gun Wharf, Dock Rd, Chatham, ME4 4TR. Parking is not permitted at Gun Wharf but delegates can leave their vehicles at No.5 Covered Slip in The Historic Dockyard, less than 10 minutes walk from Gun Wharf (when using the old main gate pedestrian entrance in Dock Rd).